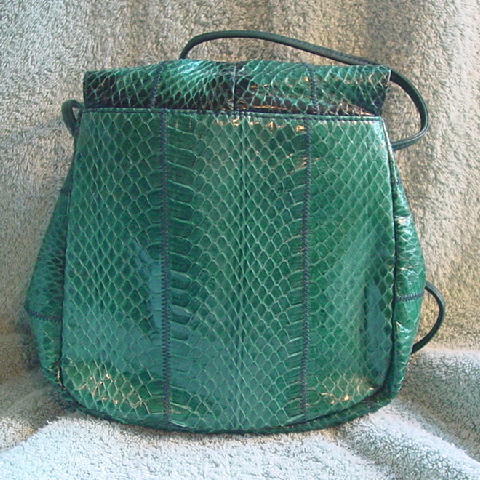 This vintage snakeskin purse is by Lauren Alexandra. The snakeskin is in various shades of green and the lighter ones have teal overtones. 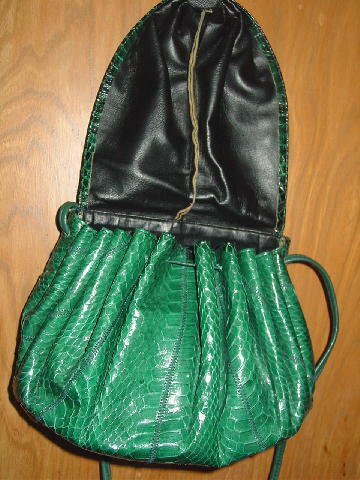 It has a front flap with gathering at the bottom and a 37 3/4" long by 1/4" wide snakeskin strap. There is a faux leather black lining and an interior zippered pocket lined in a black fabric. 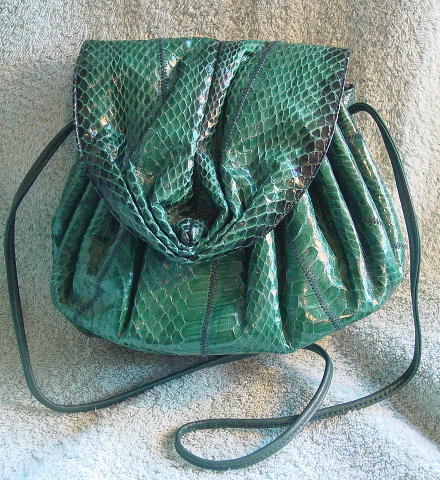 It has a great color and very nice snakeskin. It can be worn in the daytime as well. It has a nice variety of sizes of scales. The color is more accurately depicted on the front and back pictures.